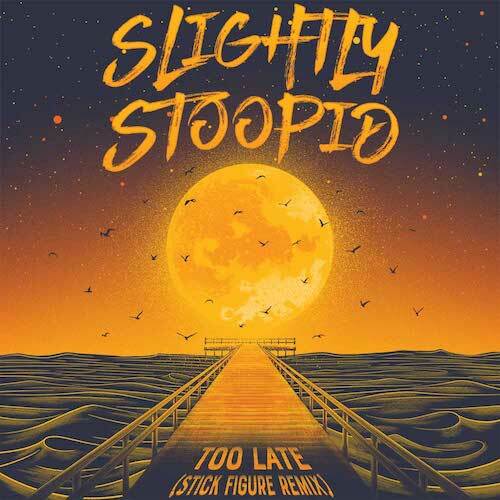 Slightly Stoopid released their new music video for "Too Late" (The Stick Figure Remix). The two have collaborated few times in the past and it always turns out great. The two bands recently toured together for Slightly Stoopids summer tour last year which was some good times for sure. Slightly Stoopid have a number of shows coming up this year including their 4/20 show taking place at The Joint in The Hard Rock Hotel Las Vegas. That should be a fun show which features Common Kings and Fortunate Youth. Stick Figure has a solid tour coming up as well featuring The Movement and The Elovators which starts heading out in early April. You can also catch both of them at the One Love Cali Reggae Festival this weekend and Reggae Rise Up in March. Full tour dates for both bands can be found below.